Given the remarkable development of technology and research in terms of detecting human’s brain, people have been able to partly analyse and use the brain in various ways. Our brainwave is quite precise and easily react to even small stimulations. For instance, when we see the particular colour such as green and red, the way we accept those colours is not fully same and also a feeling and an emotion. In this report, I am going to describe how an artefact influence to human’s brain and suggest an instruction about making own artefacts according to brainwave and effects(both conscious and unconscious reactions-emotion, feeling) from the brain. Some people may say, human’s brain is extremely complicated so there is no point in given the instruction. Having said that, I suppose that the complexity of the brain would stand people in qualified stead. What is the language of images in human’s brain? What can make the images distinct and different feeling to people? What does it mean to accept that a vibrant red is ‘passion and energetic’, the lines in a painting are ‘aggressive and strong’ and a photo with black and dark red-grey refer to ‘anxious, scary and fear’? Which make this emotion to people? Why some images help people to feel better or worse? Where is the originate in artistic images and artworks which make people feel an ‘art’? The way an image imprints to human’s brain is at least contingent on physical, perception and a structure of a visual system of the human’s brain and those elements are precisely related to each other. Either the experience of creating or viewing images arouse person’s emotion joyful, depressed, scared, happy and confusing, the emotional impression of an art piece is connected to particular neural pathways in our brain. That means some of the certain cells are activating in part of our body and the visual cortex in the brain can be perceptive. It is obvious that we cannot explain the language of images without any concepts about the grammar of the brain. 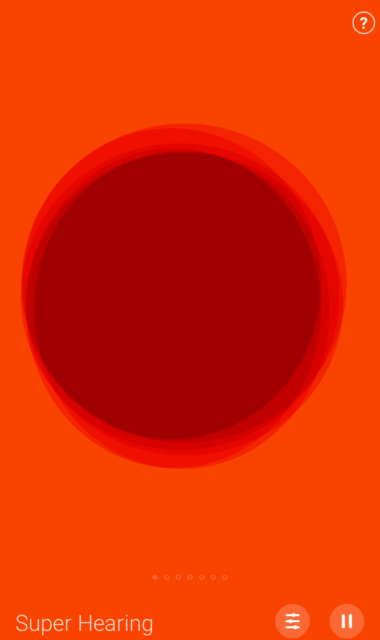 Colour theory, depth perception, negative space and the like may hardly describe the laws of the brain. These cognitive phenomena approach to express that the human brain would receive, process and preserve the visual stimuli. Therefore, not only the art have influenced a neurological basement in its perceptual resources, but also the emotions evoke a neurological component as well through creating and viewing art pieces. 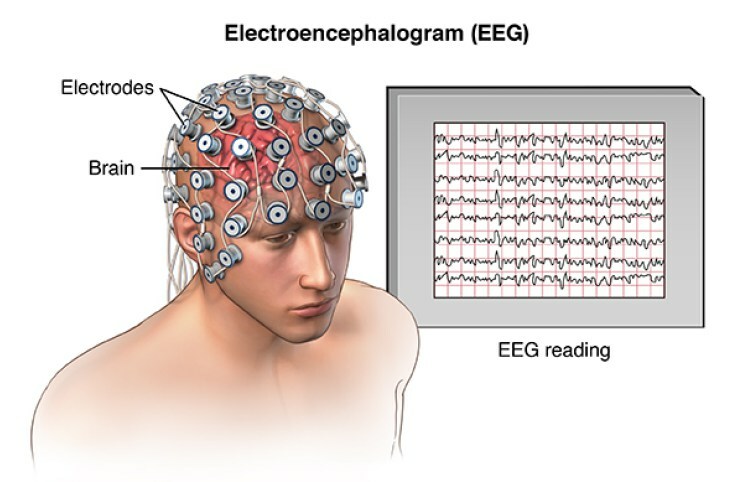 The electroencephalograph (EEG) follow the method in which the brain functions through the energy-consuming activation of neurons. The EEG make easily help to detect this electrical movement’s current via electrodes those are an electrical conductor and let contact with a non-metallic part of a circuit, and these are attached to the human’s scalp firmly. Basically, the electrodes are designed to brace in the place where is the head and it seems to a hat with nets. Besides, the electrodes are a strategically fitted headpiece so hardly get removed and the EEG nets are bonded strongly in head part of our body from the head to chin. There is a wire which is connected to each electrode, and its roles is to make the electrical activity or signal transmission from the head to a designated connection on an electrode board. The frequencies of brainwaves can gauge in units called Hertz and the brainwave are divided into four different types of brainwaves which are called alpha, beta, theta and delta brainwave shapes. 4. Beta brainwaves are the fastest and are associated with attending, orienting and duplicating skills applied to everyday concerns as well as with feeling of anxiety. In addition, when frequency bands are measured by describing the electrical activity, the amplitude of brain activity (presented to microvolts [μV] or percentages of each electrode) is also checked by the EEG in terms of absolute and relative power respectively. The absolute power may refer to the amplitude of electrical activity which is measured at each part of the electrode. Through accumulated brain activity achieved for that place, the amount of those data is identified by each electrode. The relative power gets estimated as a percentage by indicating the portion of brain activity, that portion is generated on each frequency range at a single electrode location. 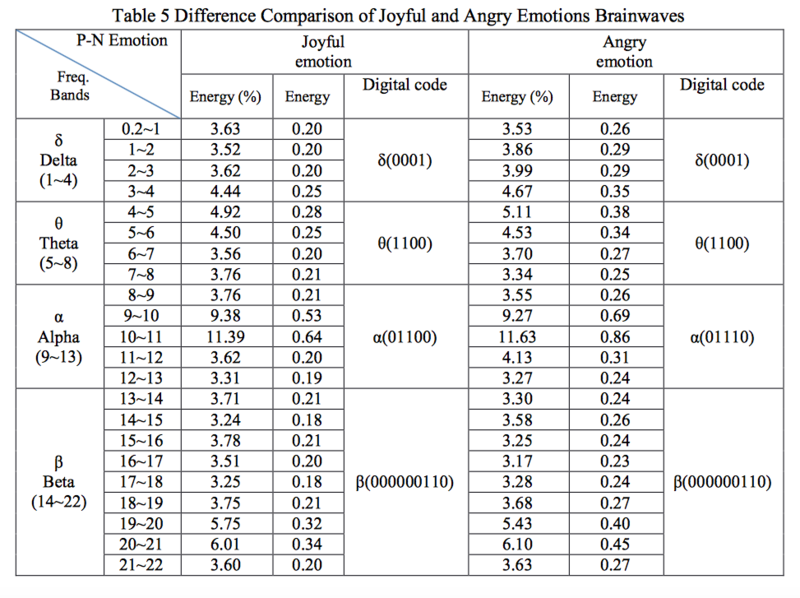 In 2015, the group of people who are FU-CHIEN KAO, SHINPING R. WANG, YU-JUNG CHANG-Department of Computer Science & Information Engineering in Da-Yeh University researched positive and negative emotions via analysing brainwaves. 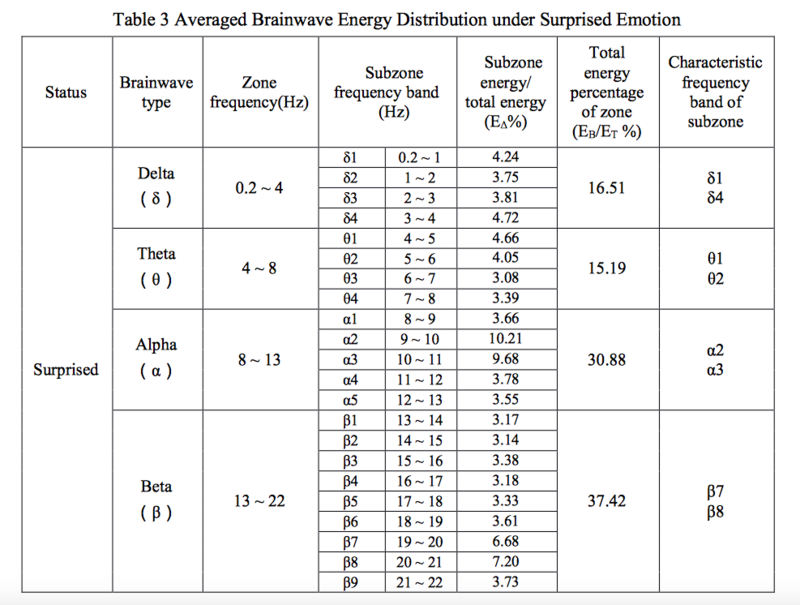 They found certain brainwaves refer to particular emotions and those emotions are converted into the range of numbers. The way they analyse and declare the data is quite simple. They used the EEG to measure emotion and through the raw data, they created emotional spectrum transformation and calculate the real number. Then they created characteristic bands using analysis of emotional brainwave. Their experiment contains 8 types of stimuli emotions which are joyful, surprised, protected, satisfied, angry, fear, sad and unconcerned. During the experiment, for each emotion, a sound is played three times. About the participants, 15 male and female students are taking part in this experiment and 45 raw brainwaves are collected. After that, the researchers analyse each emotions bands based on the energy distribution using frequency band. 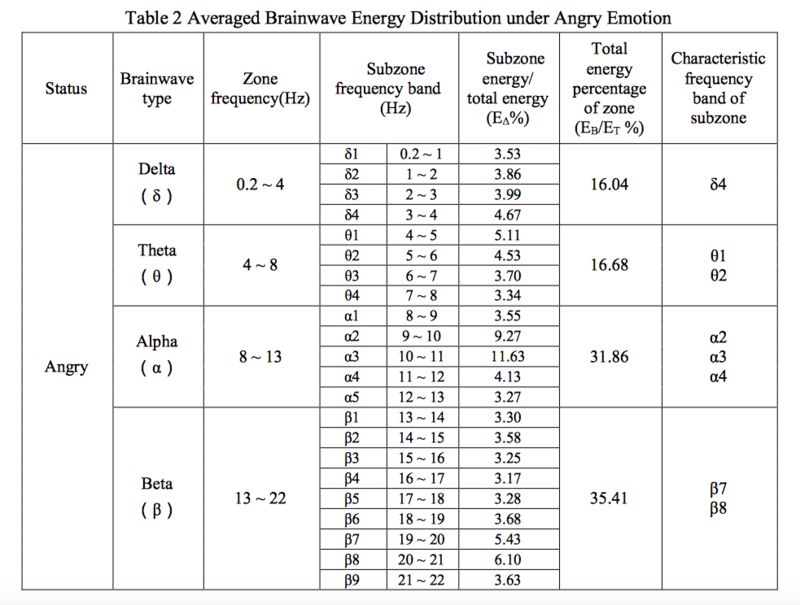 Here is the average of brainwave energy distribution under each emotion they researched and analysed. Augment can help you to listen to the world in a creative way. It affects you by harmonising your previous experiences and it makes you less stressful and distracting. 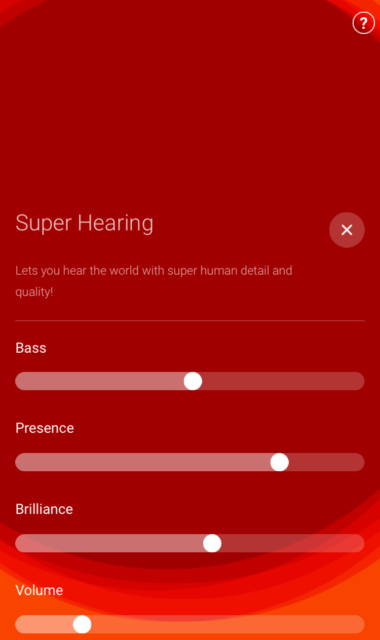 This Augment app provides several filters using your current acoustic environment, removes tough sounds and changes the annoying and stressful sounds into mixed sounds depending on your ambience. It’s an iOS app for iPhone or iPad and the app wishes would transform the sound around you and the relationship between noisy and you. The headphone or earphone is mandatory to use the app and this app contains seven different scene modes all of them affect sound and audio in various ways and generate specific sound to avoid the bother around you. Some of the filters are quite practical such as enhancing human’s voice so you can concentrate on the speech clearly over background noise. The others are more focused on fun and amusing such as happy filter change the sound to make the happy mood. You can also add more effects to the ambient sound around you in your own purpose and you can feel more ‘ecstatic’. The point is that when you are clicking your fingers on the keys, it can be transformed into what sounds like the water of a small stream, while the other sounds may sound like noised occasionally by person to person. AUTO VOLUME – Mute background noise, but still hear people when they talk to you. RELAX – Lose yourself in harmonic waves of bliss. HAPPY – Turn sounds around you into cascades of happiness – psychedelic! TALK – Fed up with boring voices? Auto-tune them into music. OFFICE – Can’t concentrate? Detach yourself and focus. SLEEP – Induce the deep and surreal dreams. 2.1 On Your Wavelength (Behind the Scenes) - interactive EEG, laser & sound art installation by Alex Anpilogov, Marcus Lyall, Robert Thomas. 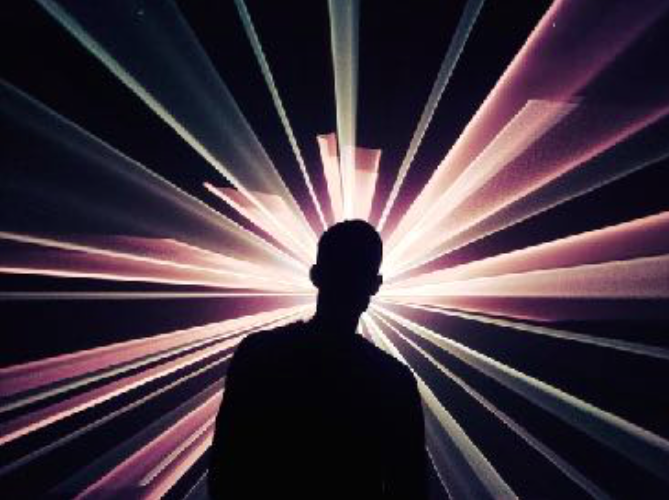 The interactive installation On Your Wavelength analyses your brainwaves and transform them into lasers. The installation was live in London as part of Merge Festival. 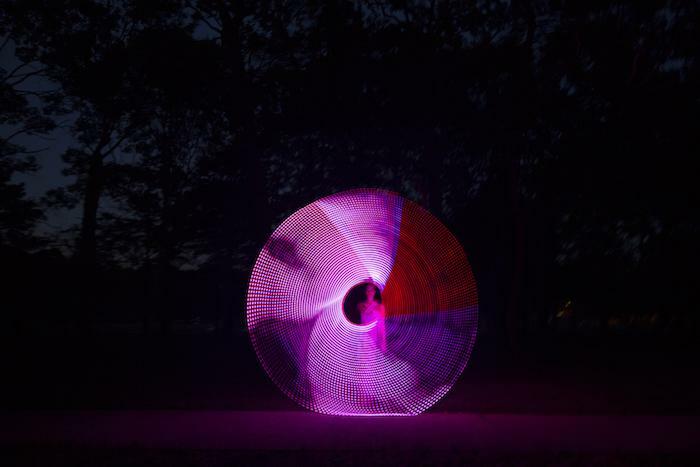 A laser is controlled by Pangolin’s Beyond. 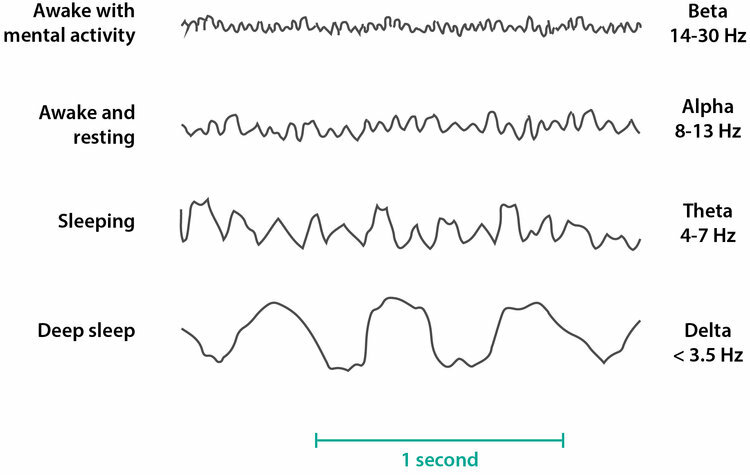 The sound is generated by Pure Data through the EEG. The EEG data is received via ‘NeuroSky MindWave’ and openFrameworks. Core software that drives the experience written in Processing, which controls submodule in PD and Beyond using OSC. When audiences put the EEG to their head, the interactive installation lasers or lights are reacted and changed the colours or shapes. In this project, EEG analyses people’s brainwaves and through those raw data, the artwork generates the artwork itself. A visual artist named Lia Chavez based in New York has released a clever method which is audiences would be realised themselves about the interrelationship between their personal brainwaves and the vibrations that generate both sound and light. Her artwork is interactive and multidisciplinary installation work called ‘The Octave of Visible Light: A Meditation Nightclub’. She conducts triggers which mean electrical impulses in the human’s brain to organise entirely immersive sounds and momentary light performance.Chavez is inspired by the perception of paradise in ‘Dante’s The Divine Comedy’, its ambience is especially respecting to the frequency theories by Sir ‘Isaac Newton’, which is well known as an investigation of the therapeutic effects of bio- resonance. In her interactive artwork, the viewers should wear specific headsets especially designed for recording brain movement and Chavez would offer an instruction about meditation. The function of the EEG headsets is transferring and translating the brain signals to an audio- visual system through Bluetooth, then mirrors the power of the brainwaves via colour and sound. As a result, each audio-visual ‘set’ is unique to the person wearing the headset. 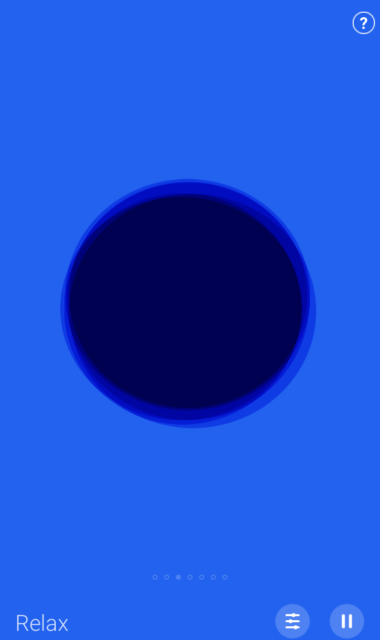 The deeper the meditation, the more fully the viewer is able to traverse the spectrum of visible light and sound. That means ‘The Octave of Visible Light’ creates real-time feedback instantly for the participants. An experimental neuroscientist Suzanne Dikker, a computer science artist Oostrik and some of software engineering developers who are also specialists in interactive design. As a group, they created strong synergy effects on the project in terms of applying neuroscience to explore the ambiguous nature of human interaction. Through their collaboration, ‘The Mutural Wave Machine (MWM)’ is an interactive neurofeedback in the experimental and artistic installation that embodies the elusive notion of ‘being on the same wavelength’ with another person through brainwave synchronisation. 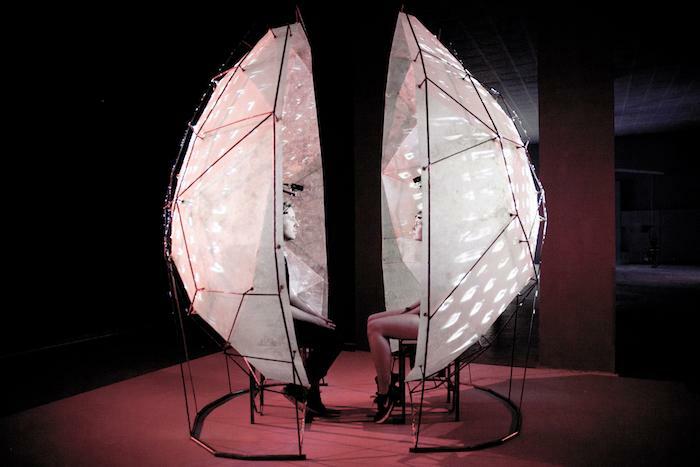 Enclosed by an intimate capsule and immersed in an audiovisual environment that responds and reflects their shared brain activity, two visitors can directly experience and manipulate their internal efforts to approach each other, or distance themselves from each other. 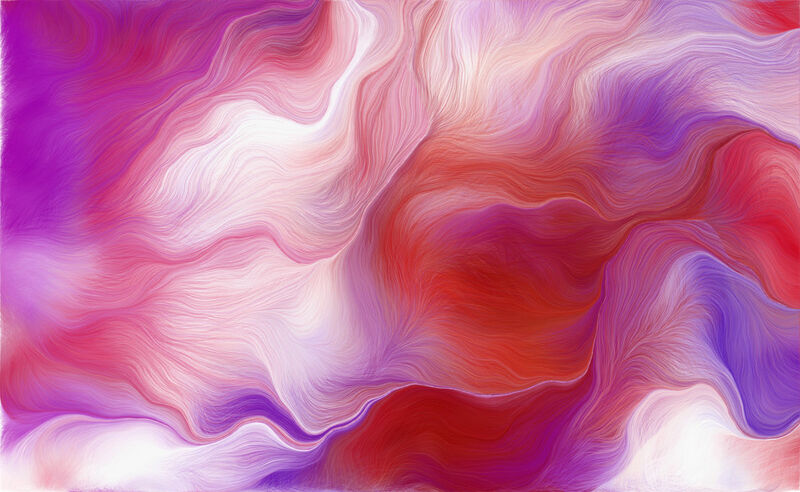 Mindswarms is created by the group named ‘Random quark’, they developed a system to produce digital paintings from human’s personal emotions. They ask each of their participants to remind of certain emotional memory based on own experiences then put the EEG headset to detect and record their brainwave in real time. After that, the algorithms which they used for recognition of emotion to direct what they were feeling during the experiment and transfer this raw data to a generative algorithm to build new swarm paintings that refer each candidate’s individual state of feeling and emotion at the time of recording. The artists intended each employee to be inspired by bird swarms and managed generative techniques for producing complicated and unique visualisations of the emotional memories. That swarm behaviour is the accumulative activity affected by a number of individual ‘agents’ that just follow plain rules to track their behaviours. No one can deny that human brain is quite complicated and the brain and the constituents which would compose the brain spiritually, morally and physically are influenced by a lot of factors such as personal experiences(what people see, what people feel, what people listen), characteristics and a present state of mind or atmosphere. Having said that I would like to suggest method how to create new artwork influencing human’s emotion, furthermore manipulating the emotion in general ways. The first step is setting and collecting the general data through a brief survey about personal information. The questions could be asked about age, gender, nationality, study background, occupation, colour preference and etc. Then, let the audience select a mode or mood what they want to feel. After that, the crowd put the EEG on their head and the EEG detects people’s brainwaves constantly. When the EEG collects the raw data from participants, the artefact will analyse the raw data and the general brainwave data which is already collected from various researchers(refer to the 1.3 charts especially the brainwaves range about different feelings). Those common data and initial data could be a measure of generating artworks. For example, when you design a lighting sculpture with sounds and your spectator wants to be feeling a specific emotion ‘happy’. And the spectator’s brainwaves will be recorded via EEG and analyse current brainwaves. Then the lighting sculpture suggests some conditions such as colours, blinks, pattern and etc. with proved different happy sounds, after that process, comparing current brainwaves to common raw data charts. When the audience’s brainwave fall into the ‘happy’ emotion range, your artefact would remember its conditions and stimulate especially those particular conditions. If you want to fully manipulate the audience based on artist’s own discretion, following the same direction as I mentioned above but delete the audience’s selecting mode. Furthermore, received the blessing from a modern technology in terms of AI and deep learning, those machine learning and AI can produce specific data abstracting the raw and averaged brainwave data. It may predict human’s reaction and emotion when they are faced with artefacts before working stages. Thus, artists are able to easily access to their goal which is related to managing human’s natural emotion by artists’ intention theoretically. Jesus G. Cruz-Garza, Justin A Brantley, Sho Nakagome, Kim Kontson, Dario Robleto, Jose L. Contreras-Vidal, 2017. Mobile EEG Recordings in an Art Museum Setting. Available at: http://dx.doi.org/10.21227/H2TM00. García-Betances, Rebeca I. et al. “A Succinct Overview of Virtual Reality Technology Use in Alzheimer’s Disease.” Frontiers in Aging Neuroscience 7 (2015): 80. PMC. Web. 27 Mar. 2018. Wikipedia contributors. "AARON." Wikipedia, The Free Encyclopedia. Wikipedia, The Free Encyclopedia, 16 Jan. 2018. Web. 28 Mar. 2018.